Most people would probably agree, $2.1 million is a lot for a car. 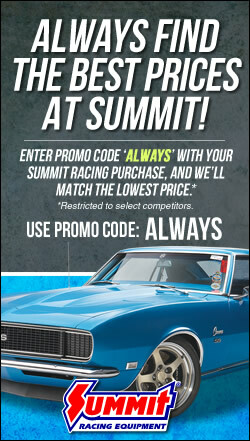 Any car. Even one with a Bugatti logo on the grille, let alone the recently unveiled next-generation Toyota Supra, exciting as it may be. 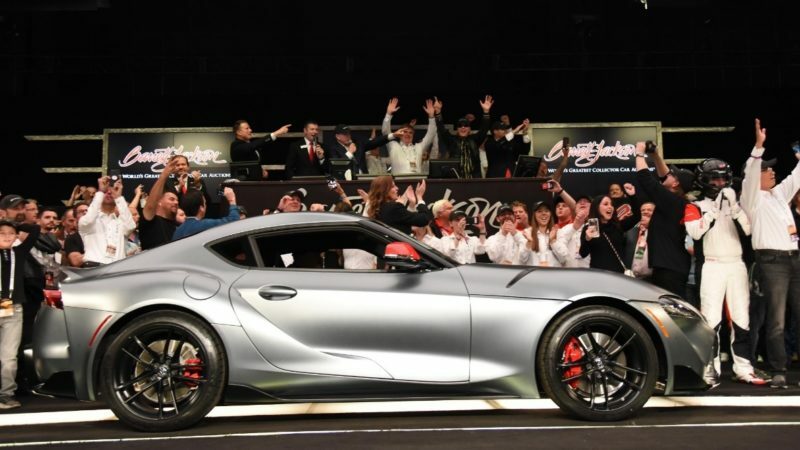 Yet that’s exactly how much the first 2020 Supra off the production line went for at a Barrett-Jackson charity auction held on January 19, in support of the American Heart Association and the Bob Woodruff Foundation for veterans and service members. The initial production Supra is the first of 1,500 “Launch Edition” cars that will hit the U.S. market, featuring a one-off combination of matte gray exterior finish, matte black wheels, red mirror caps, a red leather interior, and a VIN of 20201. (We see what you did there, Toyota.) 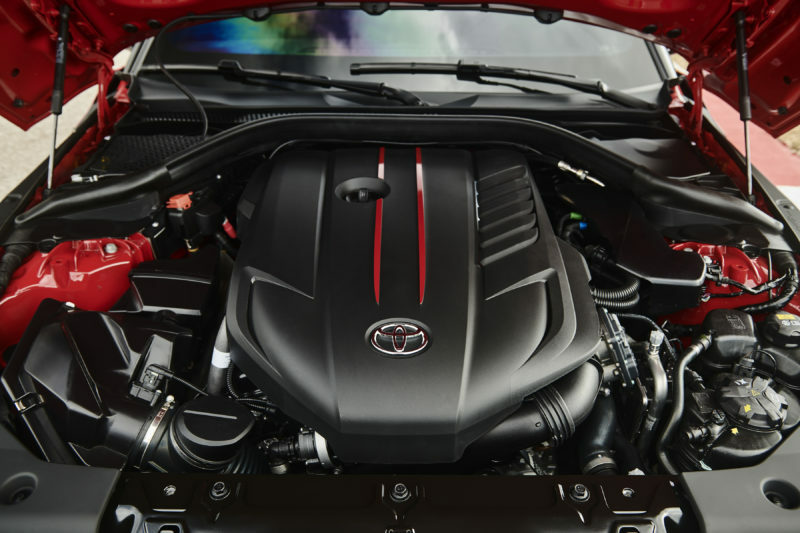 Completing the package is a dashboard plaque designating the vehicle as 1 of 1,500 and Toyota CEO Akio Toyoda’s signature on the accompanying engine cover. The winning bid on the vehicle came from philanthropist and renowned collector John Staluppi. In addition to the car, he also will receive a racing suit, two hot passes to the Toyota Owners 400, and an opportunity to drive the official pace car with long-time NASCAR driver and TV personality Michael Waltrip, according to an article from Car and Driver. 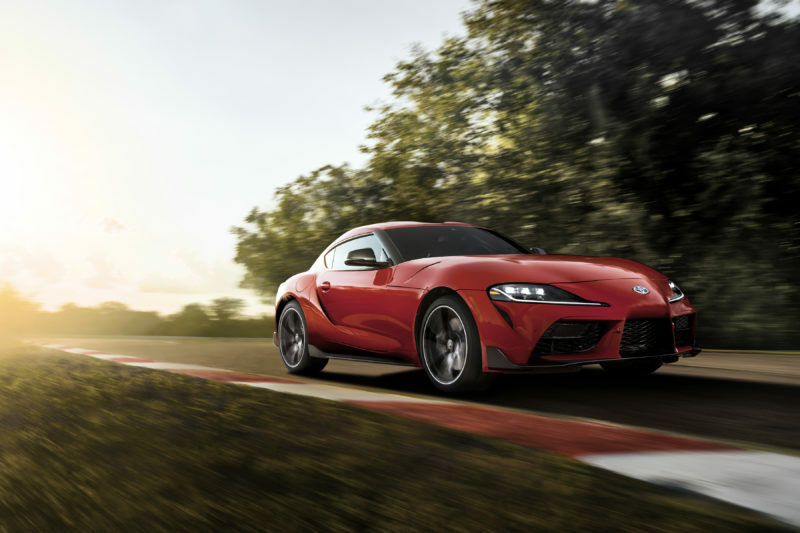 The 2020 Toyota Supra represents the fifth generation of the automaker’s flagship sports car, revived after a 21-year hiatus in the U.S. Toyota reports that the new vehicle will arrive in dealer showrooms this summer. Luckily, normal humans won’t have to pay quite as much as Staluppi did for the standard Supra, which comes in at a base price of $50,920. Standard features include a 6.5-inch display screen, Bluetooth connectivity, faux-suede power seats, dual-zone automatic climate control, adaptive damper technology, push-button start, and more. At the heart of the new Supra is a 335-horsepower turbocharged 3.0L V6 engine sourced from BMW—and one that shares many characteristics with its German-engineered brethren. In fact, automotive blog Jalopnik recently pointed out just how similar the engine is to those featured in the BMW Z4 and 3 Series. According to Toyota, the new vehicle is capable of accelerating from 0-60 mph in 4.1 seconds, with a top track speed that is limited to 155 mph. The vehicle features an 8-speed automatic transmission that is designed to deliver “quick up- and downshifts,” along with paddle shifters for manual control.